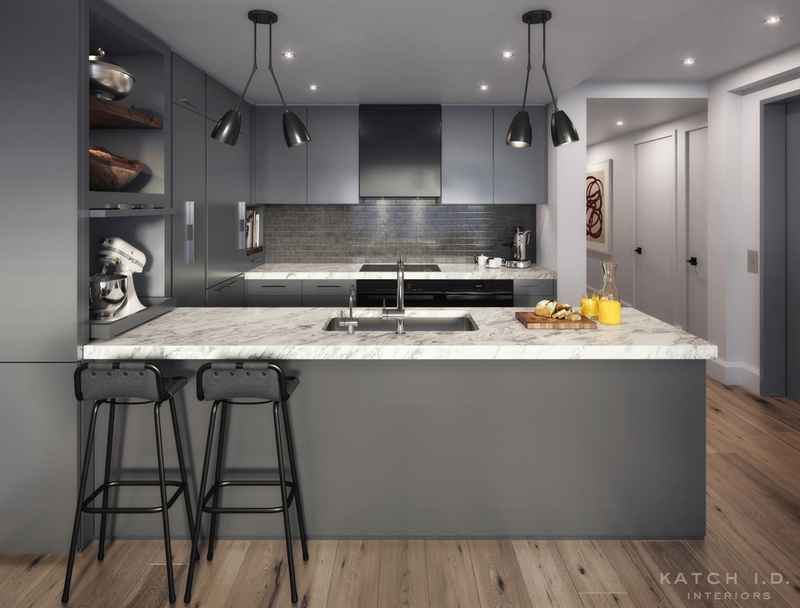 Hell's Kitchen Boutique Development — KATCH I.D. Katch I.D. Interiors marks its debut serving the New York City luxury development business with the interior design of this bespoke boutique building in Hell's Kitchen. 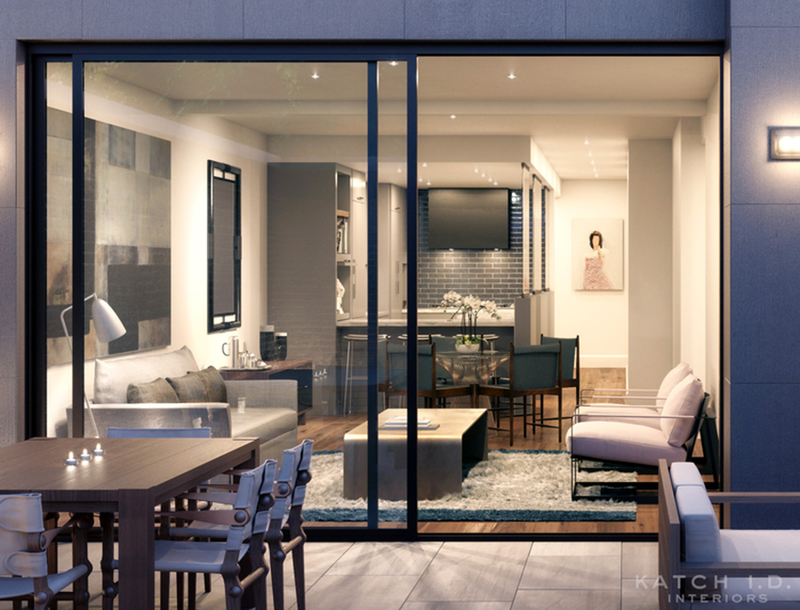 The modern interior detailing emphasizes classic materials that speak to the authentic "old New York" nature of the neighborhood in a way that feels fresh, inviting and luxurious. The building's sophisticated smoky palette of refined tactile finishes include glazed brick, honed Arabescato slab marble, oil rubbed bronze and custom fumed and limed European oak floors. 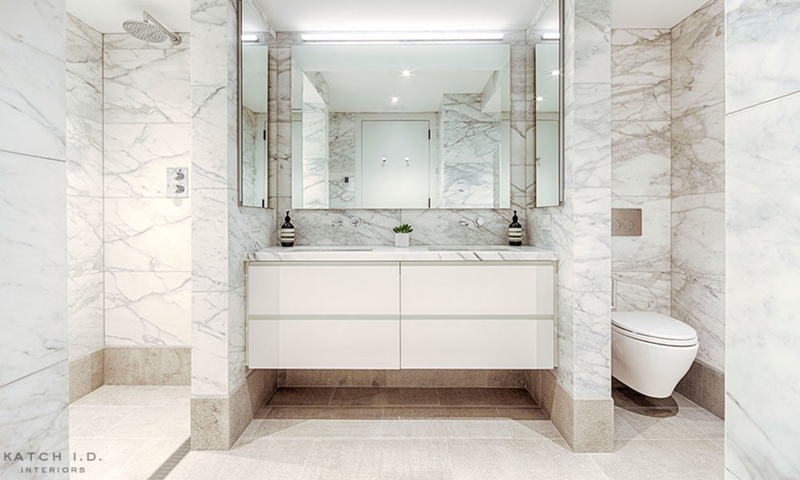 The firm designed the Lobby, Kitchens, and Baths, and specified all interior finishes throughout. The property is being developed by Shore Assets and Pilot and marketed by Halstead. It is scheduled for completion in Fall 2016.